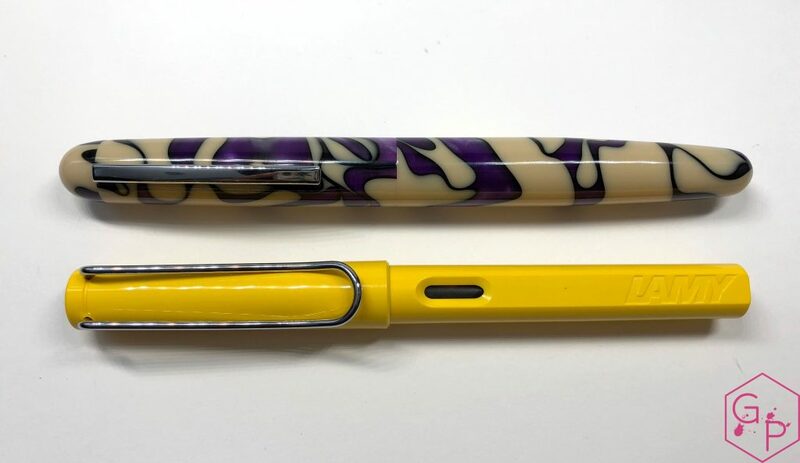 This lovely pen was lent to me by Candace – thank you kindly! 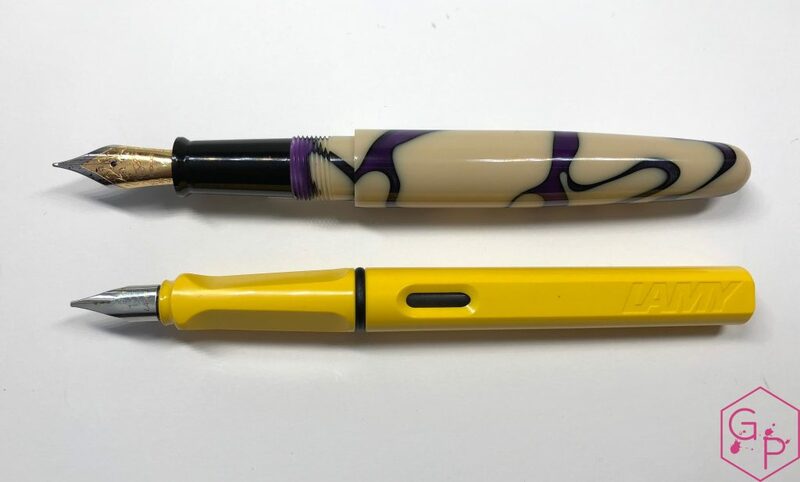 A lovely, larger pen, with a very attractive finish. 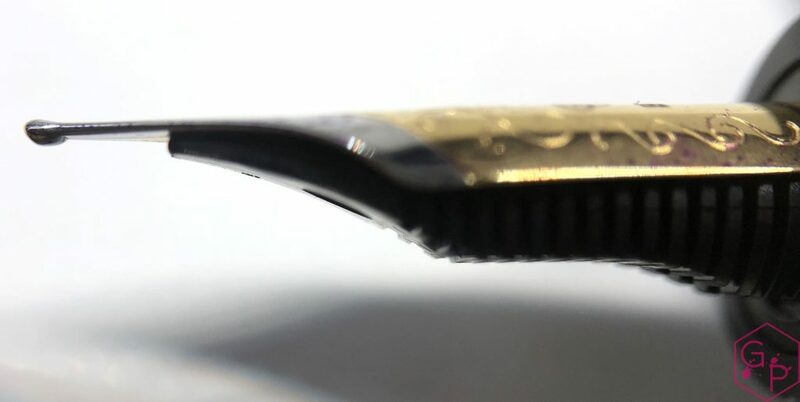 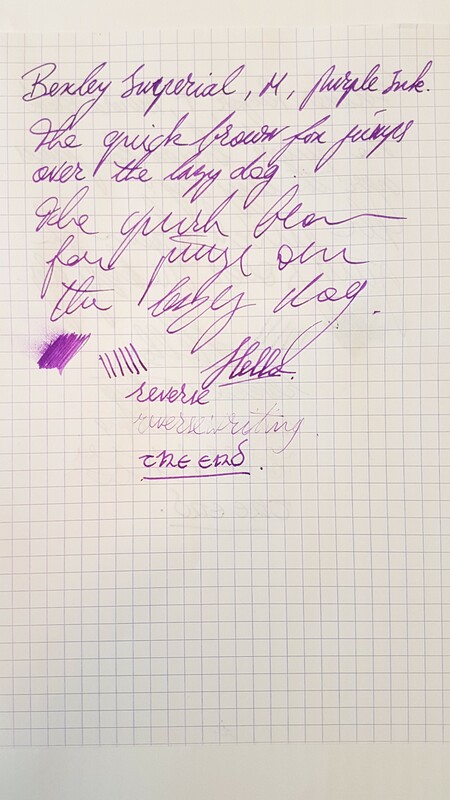 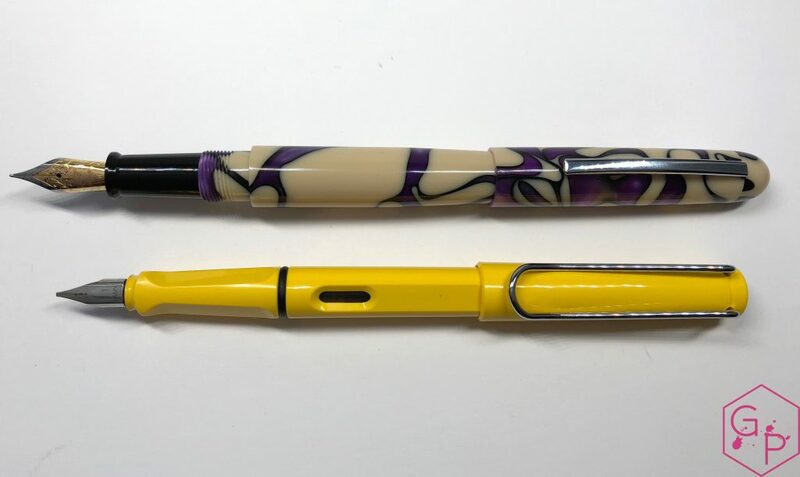 This entry was posted in Fountain Pens, Reviews and tagged #6 nib, Acrylic, Bexley, Cartridge-Converter, Imperial, JoWo Nib, Medium Nib, Purple Cream, Steel Nib on September 19, 2018 by sbrebrown.